Foundation is the most important part of makeup. It is considered to be as a second skin. Foundation plays a vital role in applying makeup. So, the foundation must suits to your skin tone. Though, the search of best foundation is seems to be a quite difficult task. A correct foundation always acts well with texture, skin tone, coverage and shades. There are so many foundation are available in pakistan markets. You can easily find best one for you that suits to your skin tone. Here i am sharing top 10 liquid foundations with you which can help you to pick the best one for your skin. You will also find their prices in this post below. Liquid foundations are the most popular type of foundation in makeup. Liquid foundation is easy to apply and gives a luminous look. Let’s check out the top 10 liquid foundations below. 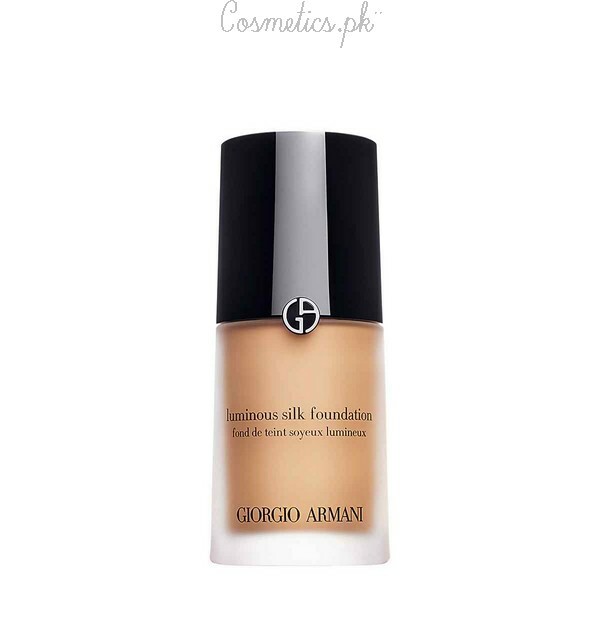 Giorgio Armani Luminous Silk foundation has a luminous finish. It gives skin a glow and flawless look. It has a wide range of shades that are easily available in markets. 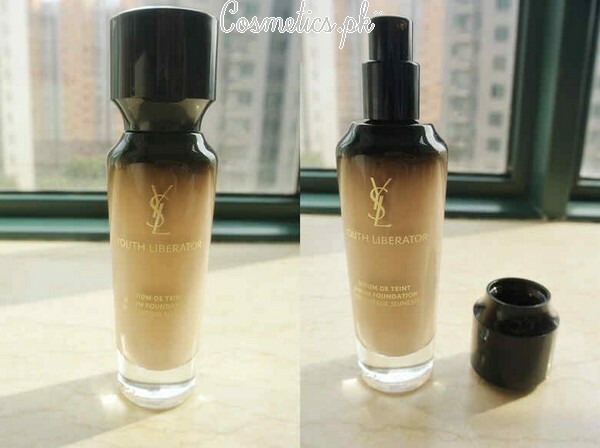 Yves Saint Laurent Youth Liberator foundation contains good amount of serum. The thick texture of foundation easily blend on skin. It comes in a range of 10 shades. It also contains SPF 20 coverall formula. Oily Texture For dry Skin. 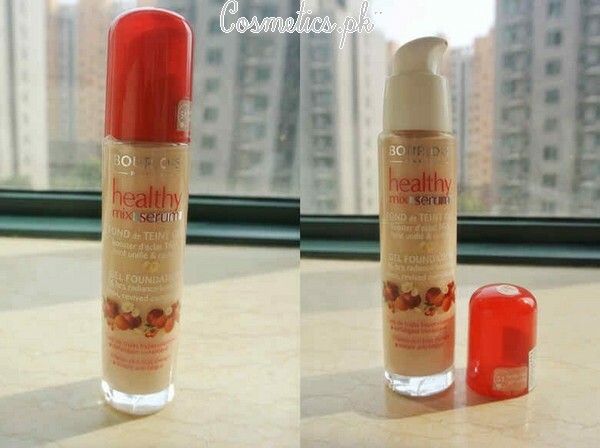 Bourjois Healthy Mix Serum foundation contains high amount of serum. The light texture of foundation gives natural finish. It comes in a limited range of shades. Make Up For Ever HD Invisible Cover foundation is design for HD photography. It gives a natural and invisible look. It is known as a photo friendly foundation. Your skin will look flawless and natural in high definition camera. The foundation includes 26 different shades and perfect for models. Takes Time To Dry Up. Covergirl Outlast Stay Fabulous foundation is a 3 in 1 foundation. It works as a primer, foundation and concealer. It is a one shade lighter foundation than the real skin tone. This foundation hydrates and moisturizes skin very well. One Shade Lighter Than Original Tone. 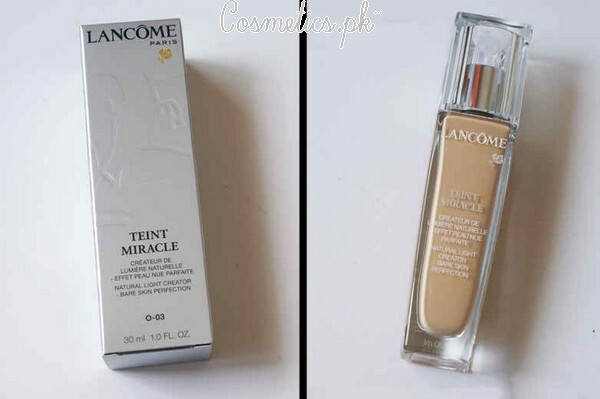 Lancome Teint Miracle foundation is a best seller foundation. It gives a light-medium coverage. Almost 28 beautiful shades are available in its range. This is a daily using foundation and also work as a concealer. Not For All Skin Type. 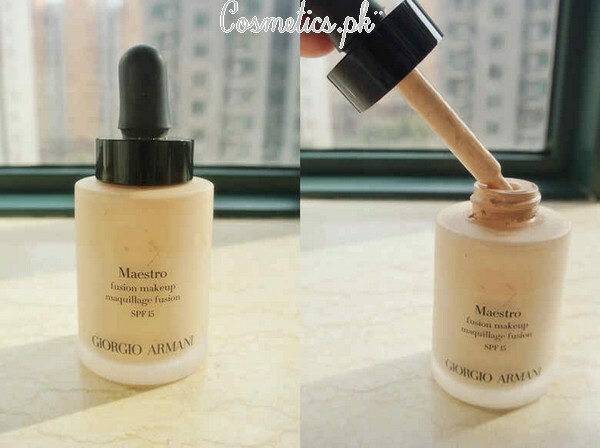 Giorgio Armani Maestro foundation is a light-weighted foundation. It gives a light-medium coverage. 12 beautiful color shades are available in Giorgio Armani Maestro Foundation. It can easily taken in a dropper. Only 3 drops are enough for face. NARS Sheer Glow foundation is on number 3rd in top 10 liquid foundations. It gives a shiny effect to skin. Its creamy texture makes it blendable easily. This foundation can be applied by fingertips. It comes with 20 beautiful shades. Estee Lauder Double Wear Stay-in-Place foundation is the most favorite foundation of women. It contains 31 beautiful shades and give warm and cool effects. It hydrates the skin very well and gives shine and radiant look. Log Lasting For 15 Hours. Bobbi Brown Skin foundation is the most popular foundation in women. It contains beautiful shades and give flawless look. It contains SPF 15 formula that hydrates the skin very well. Need Compact Powder When Apply on Oily Skin. Where can you buy Cover Girls 3-1 in Karachi!? you can buy Cover Girls product in forum mall karachi. Hey, where can I buy Armani, cover girl and make up forever Iin Islamabad or pindi? im in karachi frm where i can buy giorgior armani foundation?and price? all the prices given above is wrong how come?? which price is wrong rida? from where i can buy products? Can somebody please tell me from where can I get Make Up For Ever HD Invisible Cover Foundation in Karachi?